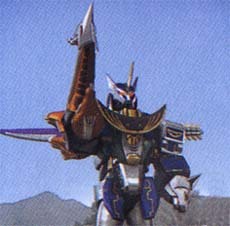 The vengeance driven Zen-Aku had his own Dark Wild Zords, corrupted by his immense power, and forced to battle against the Rangers. 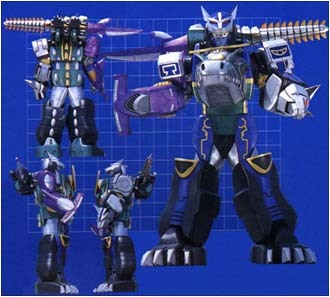 The Alligator, Wolf, and Hammerhead Shark Zords combined into the Predazord, which could deliver the Predator Wave attack under Zen-Aku's control. Under Merrick's control, it could perform the Revolver Phantom attack, and once super charged, the Blue Moon attack. After stealing the Giraffe crystal from the Rangers, Zen-Aku used it to form the Predazord Spear Mode, which used the Crescent Moon Spear attack. After defeating Taylor in a showdown, Zen-Aku stole her animal crystals, taking control of the Black Bear and Polar Bear Zords. He called them into action as arms for the Predazord.